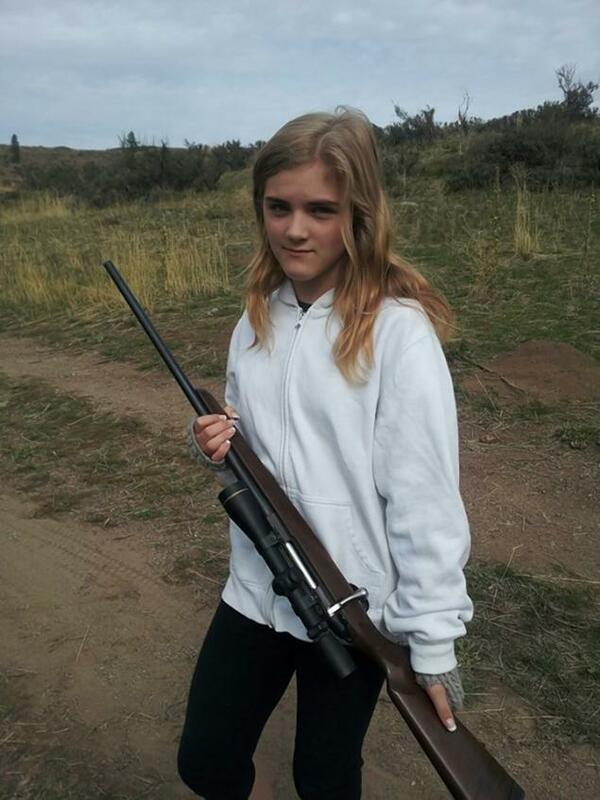 11 year old Shelby White shot and killed a cougar that was stalking her brother near their Twisp, Washington, ranch. A quick-thinking Washington State girl bravely grabbed a gun to shoot dead a cougar that was stalking her older brother. Shelby White, 11, said she acted instinctively after spotting the skinny predator following Tanner, 14, as he walked back to their rural home in Twisp last Thursday. The fearless hunter snatched her rifle, took aim at the deadly beast which was just 10 feet away, and gunned it down — saving her sibling's life. Methow Valley News reports that the female cougar, which was, "severely emaciated," tried to get into the family's Lookout Mountain ranch's cow pen at 2:30 a.m. that morning. Shelby's dad, Thomas White, was alerted to the intruder after his pet dog started barking and managed to scare it away. It returned again two hours later and White again managed to scare it off. 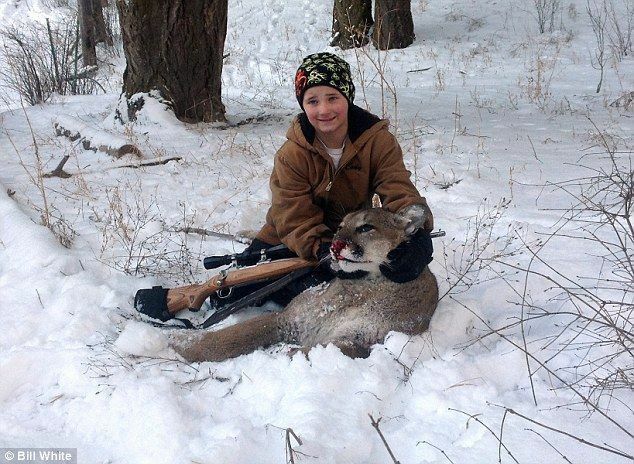 The 11 year old girl shot and killed the cougar after she spotted it following her brother into the house. 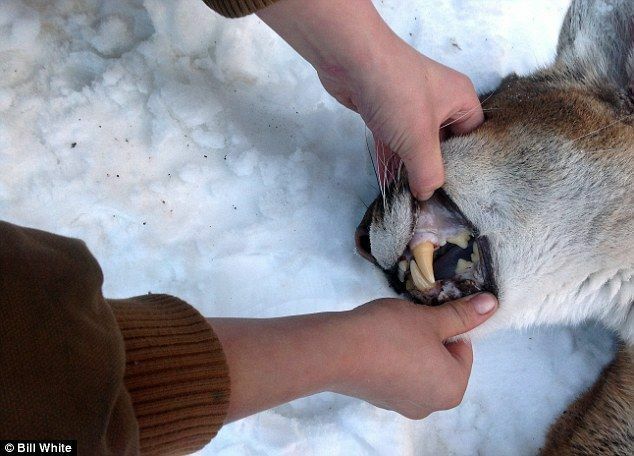 It was the third cougar death on or near the family's ranch in two weeks. The big cat tried to make its third time the charm at 3:30 p.m. when she chanced her luck as White's three children returned home from school. Tanner White reportedly went outside to feed the family's dogs but, as he walked back to the house, the cougar jumped out from under one of their cars. 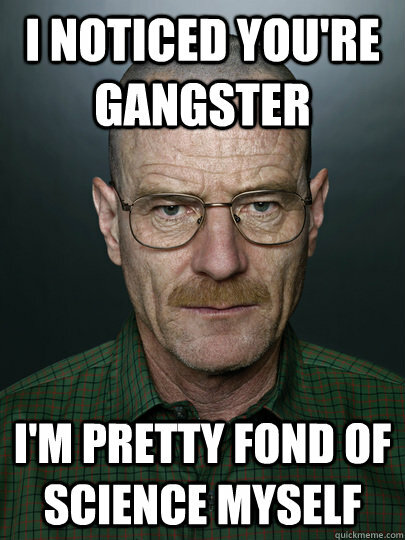 With the young boy seemingly unaware he was being followed, he let himself back inside the house and shut the door. His father then looked out the window and was stunned to see the cougar just feet away. Cal Treser, enforcement officer for Washington Department of Fish and Wildlife, revealed that little Shelby White — who has a permit to kill cougars — acted immediately. 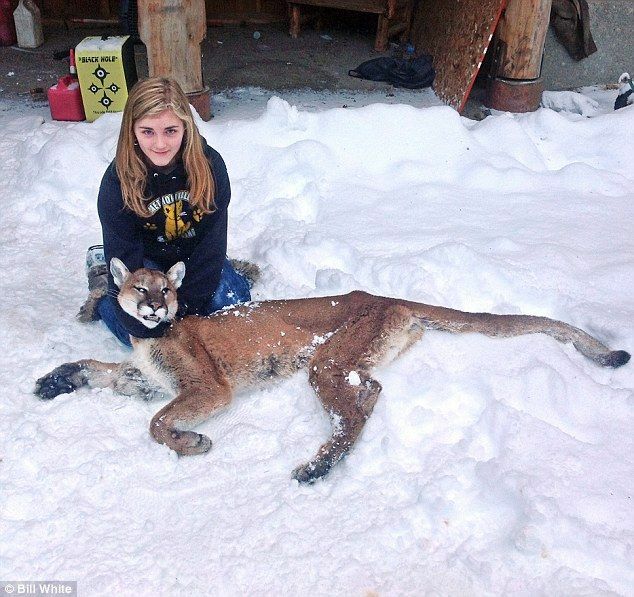 She grabbed her rifle and shot the cougar dead, before posing for pictures alongside her kill, he added. Treser said the 4 year old was, "starving to death," weighed just 50 pounds, and was the third such cat to be killed on or near the Whites' ranch in just two weeks. A cougar knows humans are easy prey, they dont understand we have weapons. The weather is a factor in this too. A mountain lion that starved more or less had trouble feeding on small game but a human is big and slow, perfect for a kill. I agree that it sad a big cat gets killed but I dont think it comes into it when a human life is at stake. If it was the last big cat on earth but it was about to kill someone in my family, I would shoot it.